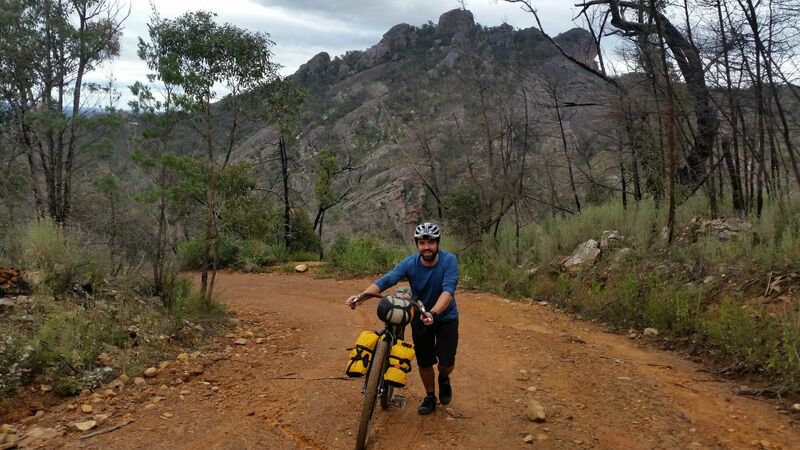 Travelling 46 kilometers in a 24 hour period might seem like an easy overnighter but the Fortress in the Victoria range sure does pack a punch. 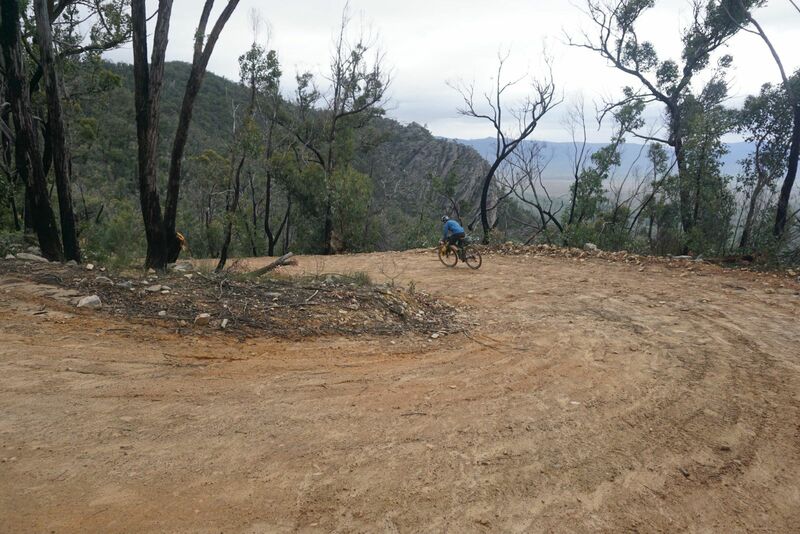 The technical terrain and unforgiving climbs and descents will have you slowing to a crawl. 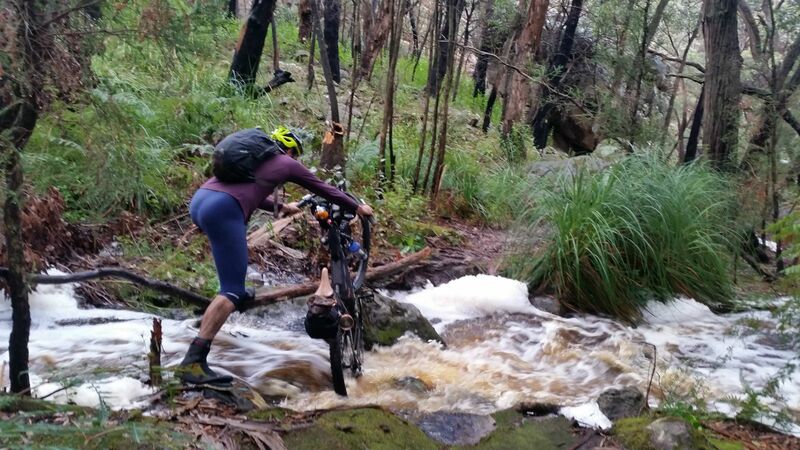 Add in some wild south westerly storms and you have yourself a real adventure. 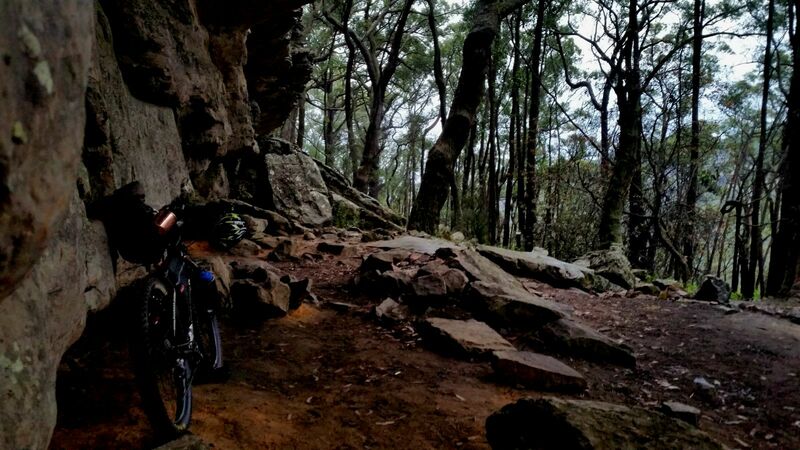 This could be pretty cool day ride but then you would miss out on spending the night in a cave. We didn’t exactly make good time getting to the trail-head. 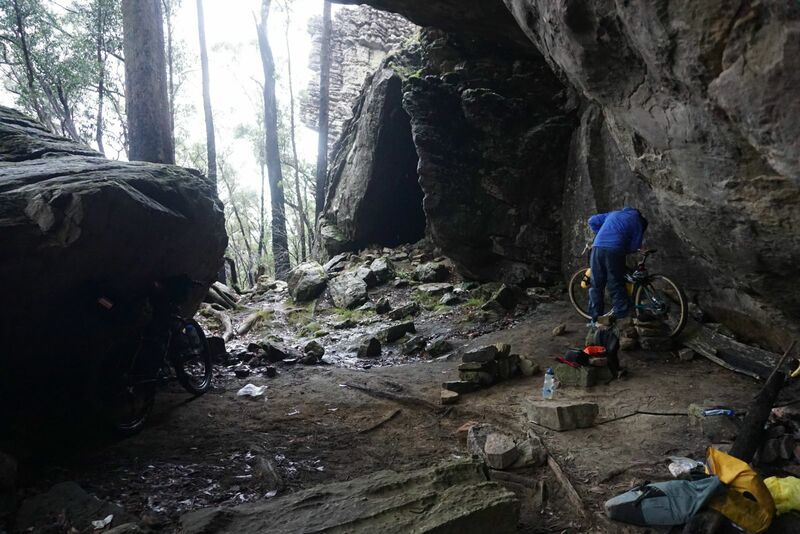 A midday start from Melbourne and a missed freeway exit mean’t less than an hour of daylight for our climb into the ranges and the safety of the cave on the western edge of The Fortress. 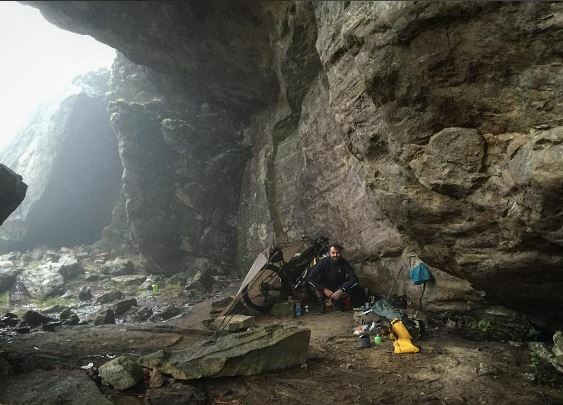 The weather forecast was looking decidedly ugly but it didn’t deter us from our goal. 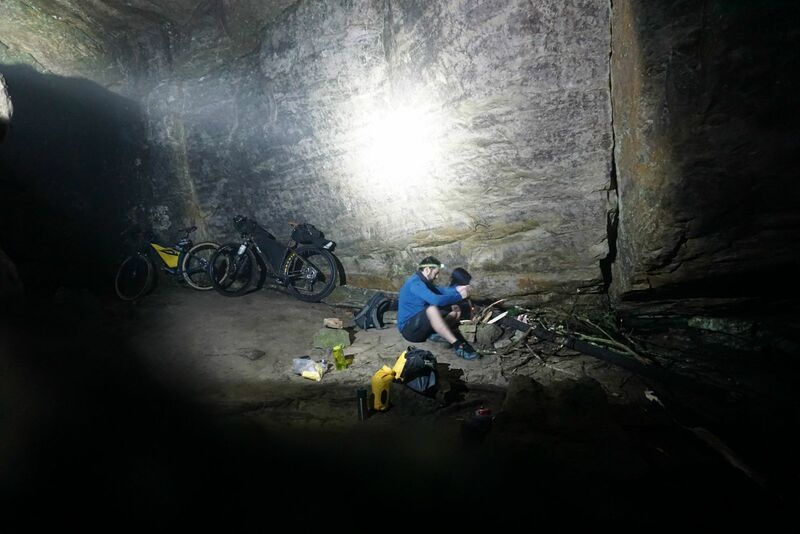 The refuge of a cave for the night was the only motivation we needed to head out into the dark with the first of the winters storms threatening. 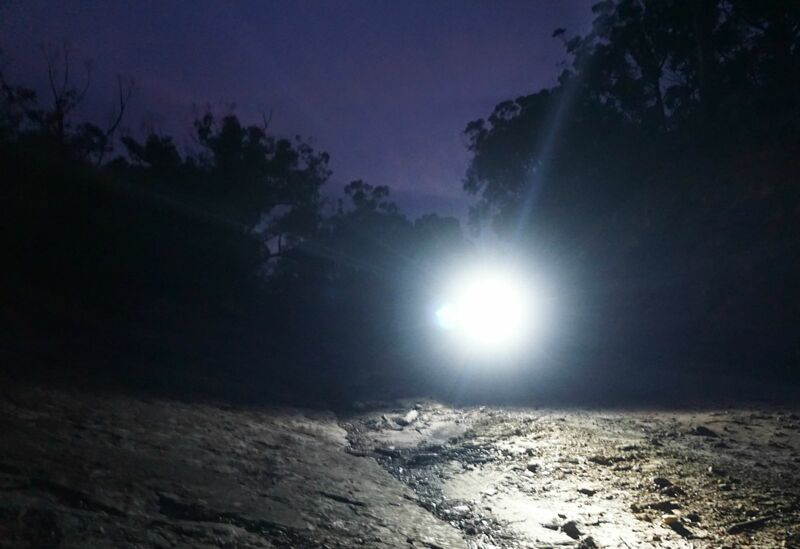 When the trail went from double track to single track it was well and truly dark. 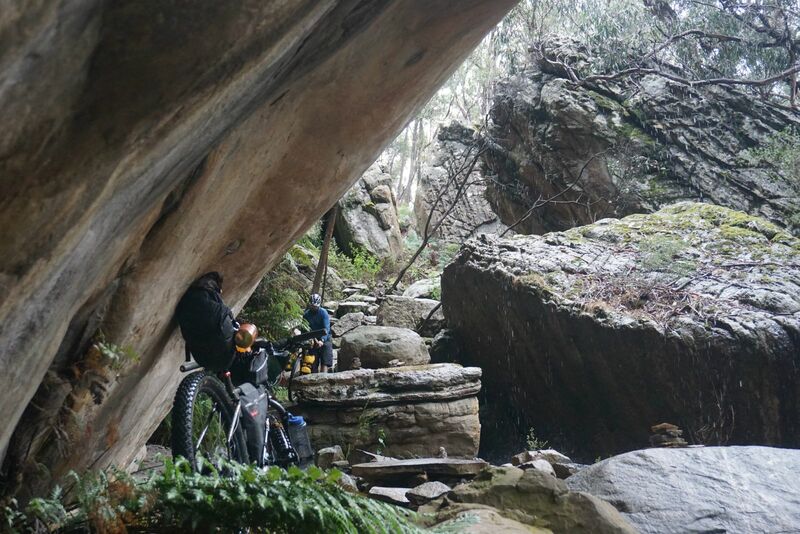 The path quickly turned downhill into to a boulder strewn goat track of rock-melon sized boulders. Wiping off speed and avoiding ruts the size of graves was perilous. At the end of the thrill ride was a proper walking track. 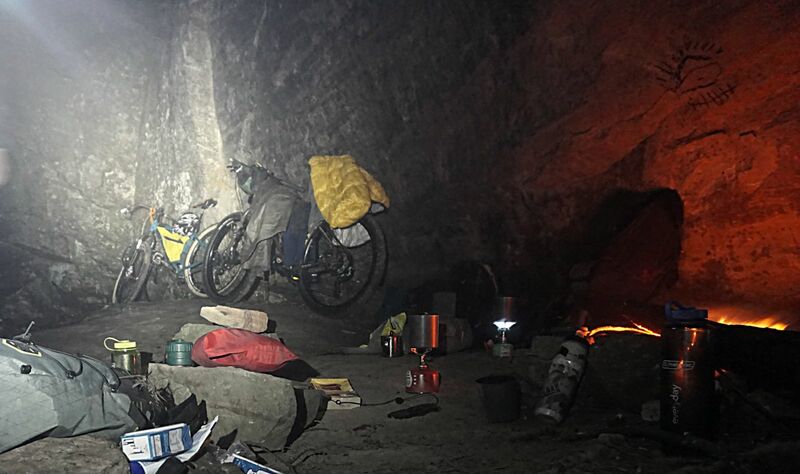 A long hour of pushing climbing and hauling bikes in the dark revealed our 5 star accommodation for the night. It is 7 kilometers from the cave at the fortress to the car park down the bottom, I envisaged this taking anywhere up to four hours given the terrain. I had no idea how much we would have to push and whether we might need to carry our bikes. I had hiked in here 15 years ago and remember it being challenging as a hike (in my early 20’s). 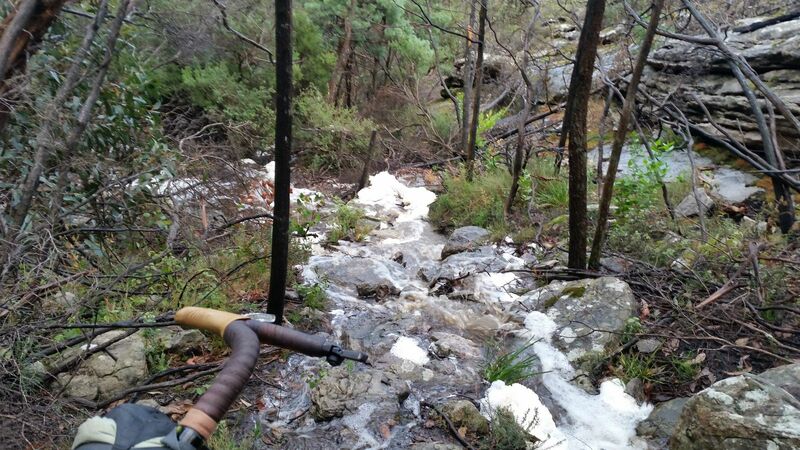 I also remember from that particularly wet trip that most of the path turns into a waterfall during storms. It didn’t let us down. So far it was everything that was promised, pretty unrideable but very scenic! The main creek off the Fortress is usually nothing more that a little trickle, but on this day it was a difficult stream to ford and care was taken to keep our feet dry. Before we got out of the maze completely there was a bit of scrambling up to a ridge-line. Beyond that we got some fantastic views of where we had come from. 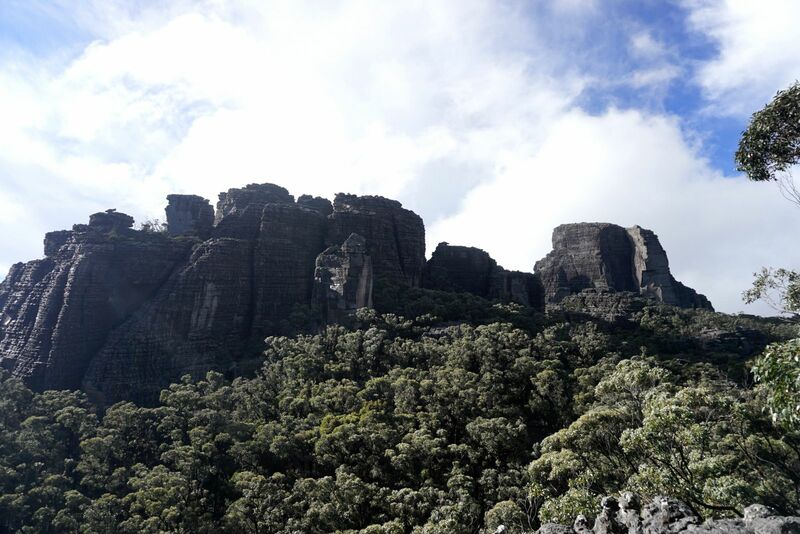 This part of the world is awesome and you really could spend a lot of time scrambling around the escarpments. 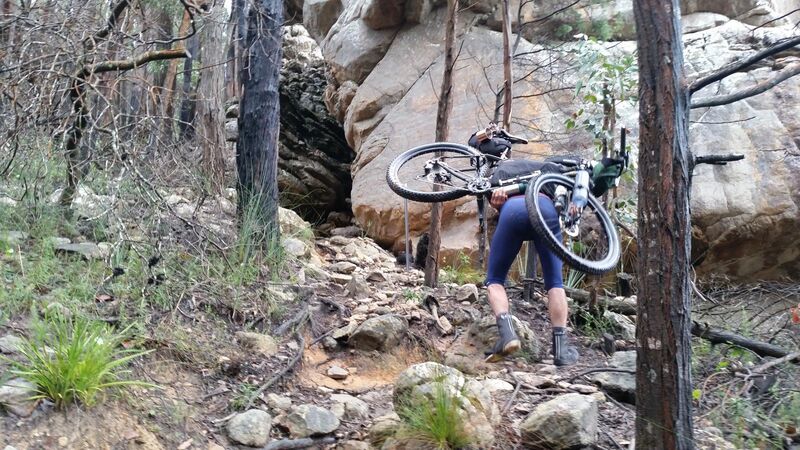 After taking in some of the magnificent views we were able to ride most of the way out giggling our way to the bottom. The track is rocky or sandy and sometimes both it required skills somewhere between downhilling and bike trials, something that plays well to my skill set. Joe had a ball too being very handy on a downhill bike. We stopped at Buandik for lunch knowing we had a bit of a steep climb ahead of us. 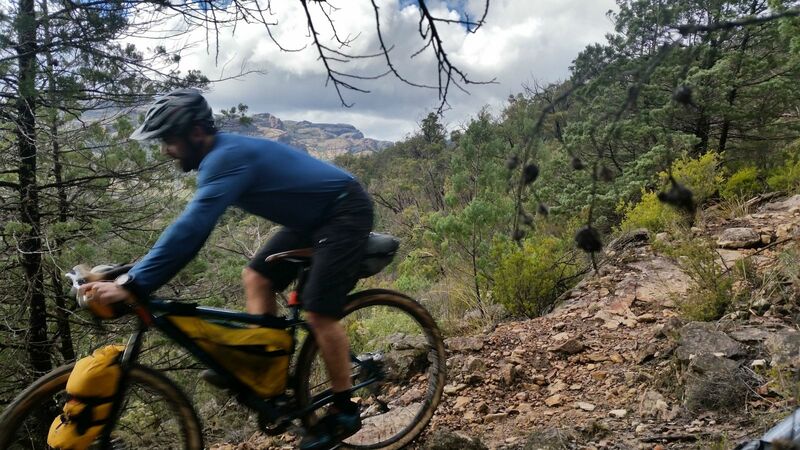 The Goat track lived up to its namesake climbing 170m in the first kilometer. Some pitches are 30%, almost the same alcohol content of the Whisky we consumed the night before, so needless to say we both took a walk at some point! Once on top of the Victoria range again we were on the home stretch. The fire-track was super grippy given the rain the day before, this aided to keep a lot of the sandy sections nicely glued together and enabled the 3 inch tyres to gain maximum traction. Never before had I so confidently thrown such a heavy bike into a two wheel drift, we hollered and hooted all the way to the bottom. The last 15 km to the car allowed us to reflect on a seriously awesome overnighter. 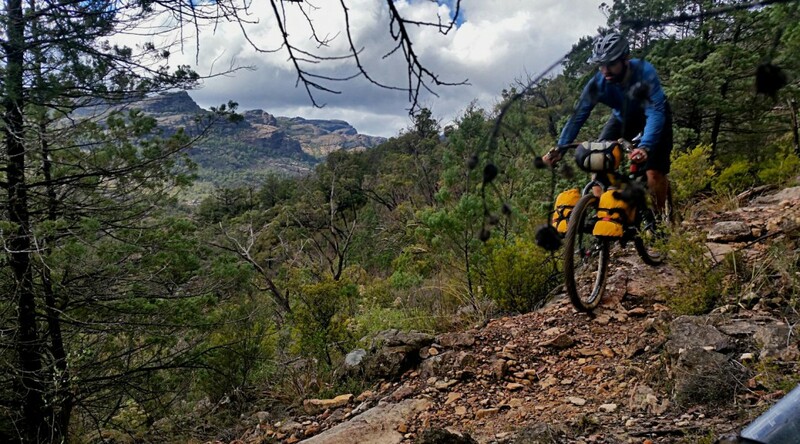 We had arrived late after a three hour drive in the rain, got a gap in the weather getting to camp, took off to clearing skies in the morning, rode down waterfalls and escarpments to the valley below, got blown home by a tailwind and watched yet another rain front come though as we drove home. It could not have been more perfect. Sometimes everything works in your favor, this was one of those times. The forecast was horrible, if we had let this deter us we never would have gone. We had prepared for the worst and managed to dodge it all. I was buzzing all week after this ride. It was just plain RAD! Better get planning the next adventure! What a great adventure. Looking forward to reading about further #ministryofsillyrides!